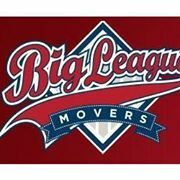 YourMovers is a Mid-South based moving company with a primary focus on small home and apartment moves. We want to provide the muscle that you need to help you feel at home. Our team lives on the happiness of customers, and the quality of their work. We ensure that our handpicked movers are reliable, respectful, and smart. Contact us today for more information! Your Movers is a fully licensed, insured, and bonded Desoto County and Memphis moving company. It's easy to see why we are your obvious choice!